Surfin’ Shark Chlorinator earns his keep while swimming around the pool. Keeping pools and spas chlorinated is a big and constant chore. 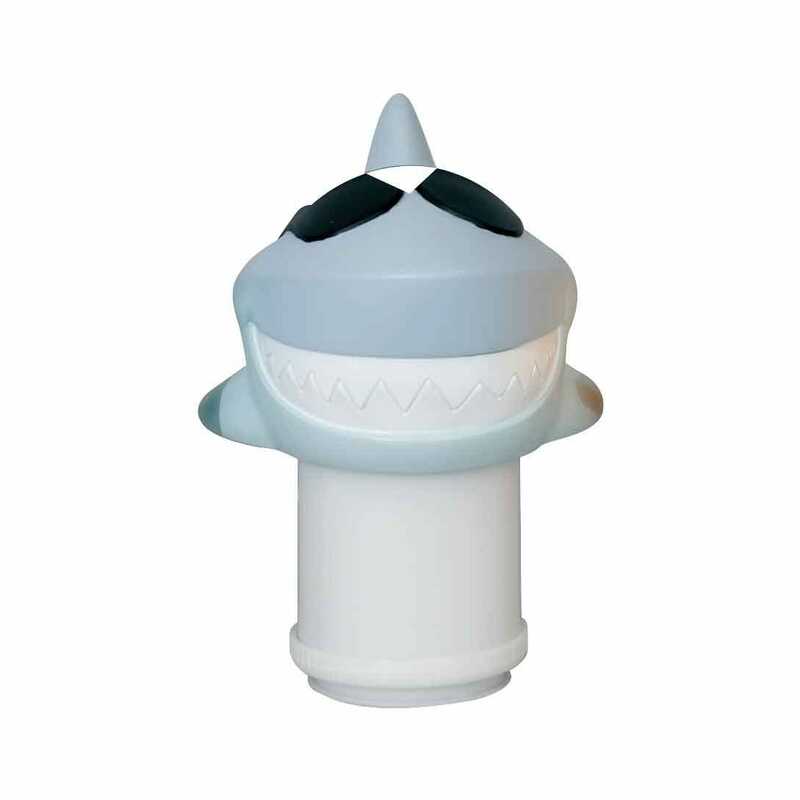 Surfin Shark Chlorinator has an expandable basket and an adjustable dispenser, putting you in control of how much chlorine goes into your pool and making maintenance a breeze. Surfin Shark Chlorinator holds up to six 3" chlorine tablets and helps evenly disperse them throughout your swimming pool for cleaner, fresher pool water. Measures 8”l x 9”w x 10 1/2”h.